Late last year, Facebook waived the fees on their built-in fundraising function, and started to heavily push the concept of birthday fundraisers to users. 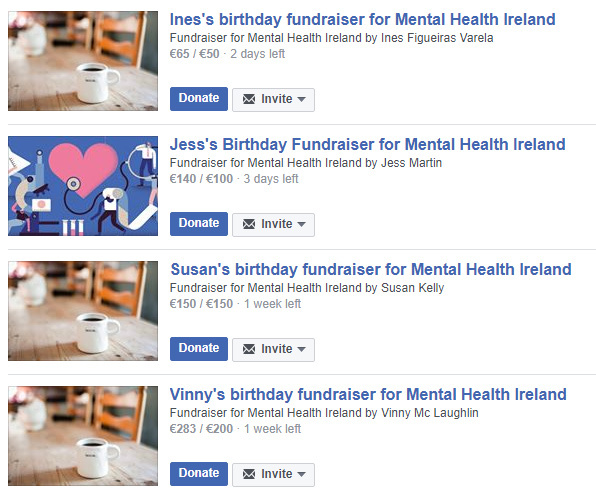 Some charities have seen some great results with this new function, including Mental Health Ireland, who have had over 250 people run fundraisers on Facebook for their cause since late last year. 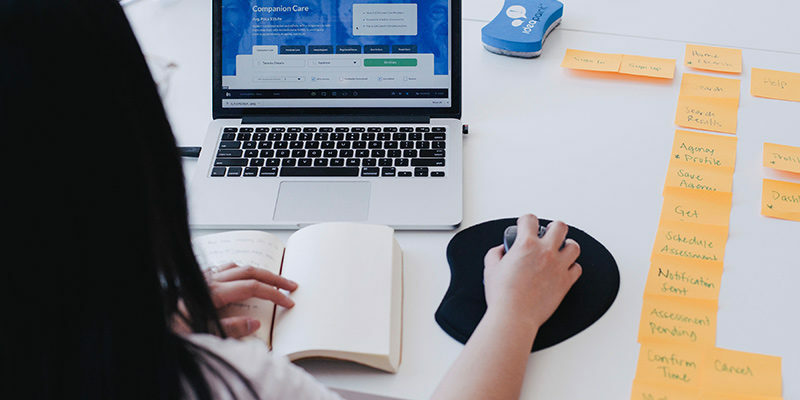 Jill O’Herlihy, Head of Communications and Fundraising at Mental Health Ireland was kind enough to share some of her insights with me, about how she’s made Facebook Fundraising work. 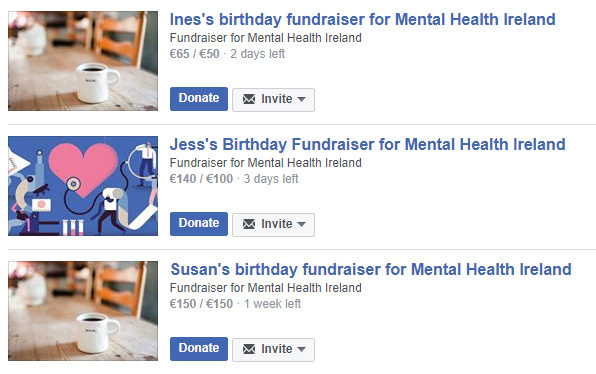 Jill, Mental Health Ireland has been doing amazingly well with Facebook Fundraising, with dozens of birthday fundraisers set up on your Facebook page, and many of them surpassing their fundraising targets. What has the experience been like so far? What has worked well? Jill: Facebook Fundraising has opened up a new fundraising revenue stream for Mental Health Ireland overnight. On hearing about it last October I contacted Facebook with an issue I was having registering. They were looking for American banking information which we don’t use. It turned out they were only testing in the Irish market with a few of the larger charities. I was delighted when they opened the registration to let Mental Health Ireland register as part of this initial phase. It took three weeks for everything to go through administration at their end and for the function to go live. Everything is working perfectly at the donor’s end. It is really easy to set a Facebook Fundraiser up, to share it with your network, to keep your fundraising page updated and thank your friends for donating. I actually set up my own personal page to experience the journey our donors were going to go through and donated to friends’ pages to experience that journey too. However, managing the charity end has had its complications. What’s been challenging about it? Jill: We ran into a major issue just over a month into the platform being live. I was receiving messages from people saying they couldn’t receive donations to their pages. As we are a smaller charity we don’t have a Facebook account manager so my only way to contact them was via the help messenger. This was a very frustrating process as nothing happened in real time with days passing before I received replies to my queries. At this stage people were unable to donate to any of Mental Health Ireland’s Facebook fundraisers and the people who set them up were frustrated but also worried that it might be a scam. The Facebook team were saying there was an issue with our bank account number. I repeatedly gave this to them in a number of formats but it never fixed the issue. At this time Facebook was holding a significant amount of fundraised money of ours. Eventually after two weeks of trying to fix the issue, overnight it was fixed, with very little explanation. During this time we lost significant funds. The other challenging issue is there is no notification to let you know someone has started a fundraiser for you. The only notification you get is when they have reached their target. And this is too late in my book! And if you click on this notification to get into their fundraising page, you can’t! They also have no formula for listing the fundraisers on the page. We have over 250 fundraisers and you need to search through all of them to find people who have just started. The only chronological ordering they do is listing the top 10-12 people whose fundraiser is about to finish. People can set their fundraisers up for a week, fortnight, month or whatever they choose so sometimes with the shorter fundraisers you only learn that they had one when they are finished. The rest of it has no order, so it is very time consuming to scroll through each time to find the people you have thanked and those you have not. Have you done anything in particular to promote this form of fundraising among your existing supporters? Jill: I haven’t actually. When it started we had a really healthy uptake. I think part of this was due to being registered a few weeks ahead of many of the Irish charities. The engagement from people has been really great so there has been no need to promote it. Do you find that Facebook Fundraising is bringing in new supporters, or is it mostly people who were already engaged with your organisation? Jill: I would say that 95% of the people are new supporters. Very few have had any engagement with us before. Some may be following our Facebook page but the majority have never engaged with us before. 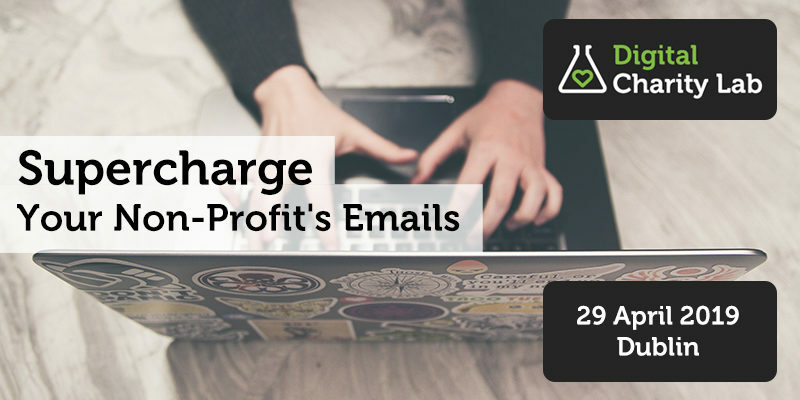 What are opt-in rates for communications like? Are donors generally opting to hear more about your charity? Jill: Opt-in rates are very high. Of those who respond to my email over 90% are subscribing to the newsletter and I am having subsequent email correspondence with them following this. You’ve been doing some great donor care, posting on the fundraising pages and thanking people for taking part. 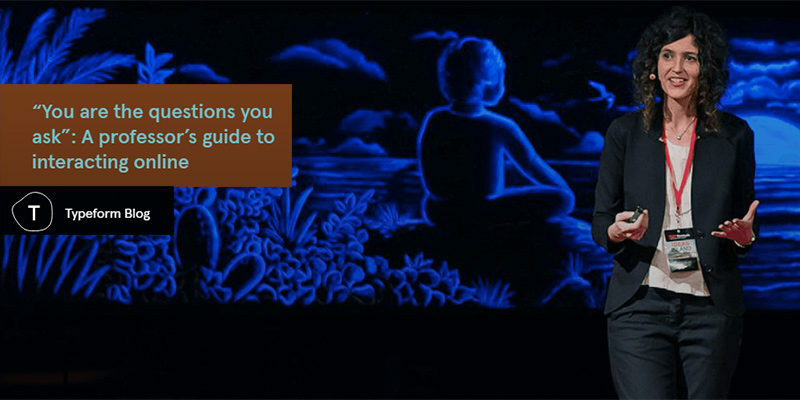 Do you have any insights to share about this? Jill: I was frustrated at not being alerted to when someone started a page. I began posting on their pages to thank them and the feedback was brilliant. It increased giving from their friends as it legitimised it for them. Every time I post on one of the fundraising pages the donations increase. I wanted to do more than just thank them online and I also wanted to get them to opt-in to our newsletter so with each online thank you I asked them to send me an email with their postal address. Once I received an email from them with their address I replied to their email thanking them for sending their address, letting them know they would be receiving a small thank you in the post in the coming days and inviting them to subscribe to our newsletter. Finally, do you have any top tips for charities just starting out with Facebook Fundraising? Make time to say thank you to everyone who sets up a page. Due to the way the pages are listed this can be very time-consuming as even if you are following it from top to bottom when you skip out of one page you are brought right back up to the top again. So set aside enough time and have strong coffee to hand! In your thank you, invite people to opt into your newsletter. 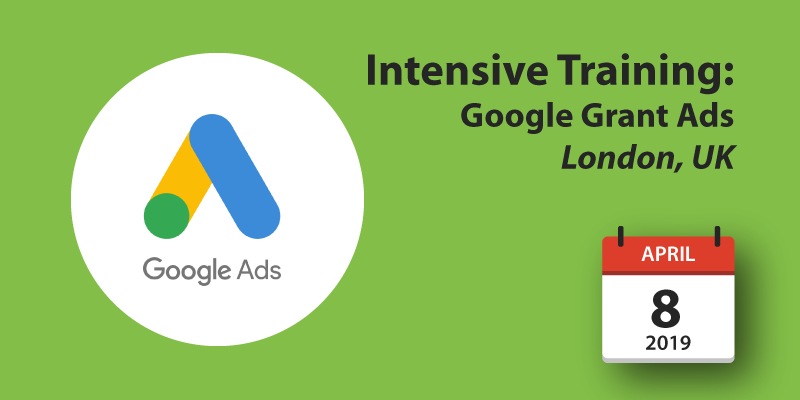 You could go one step further if you had unlimited resources and thank each donor to each page, converting them too. If your number of fundraising pages are small this might be doable. Try to secure a contact within Facebook if you can as it can be very time-consuming and costly for your fundraising if something goes wrong. None of our supporters who set up pages around the time our fundraising function was down reached their targets. Check the images you have available on Facebook. The majority of your fundraisers will use what is available to them on your page as their image to promote their page to their friends. 90% of our fundraisers use our header image and others have used their own or looked at some of our other images on the page and selected them. Some really interesting insights from Jill; I think they give a really good sense of the opportunity as well as the labour involved in this type of fundraising. 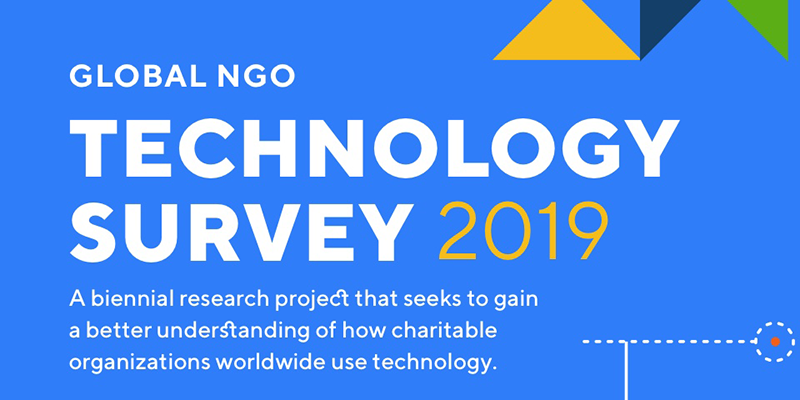 Facebook is having lots of other challenges at the moment and it’ll be interesting to see if they expand or improve this fundraising functionality, which many feel that they originally added as a move to rebuild trust in their platform. It’s also possible that the news around their data practices may put people off running fundraisers. As ever, don’t rely on one single channel for your fundraising! Huge thanks to Jill O’Herlihy for generously sharing her knowledge with us. Thanks Jacqui, I’ll head on over and join up! That’s a great tip Jacqui, thanks so much!